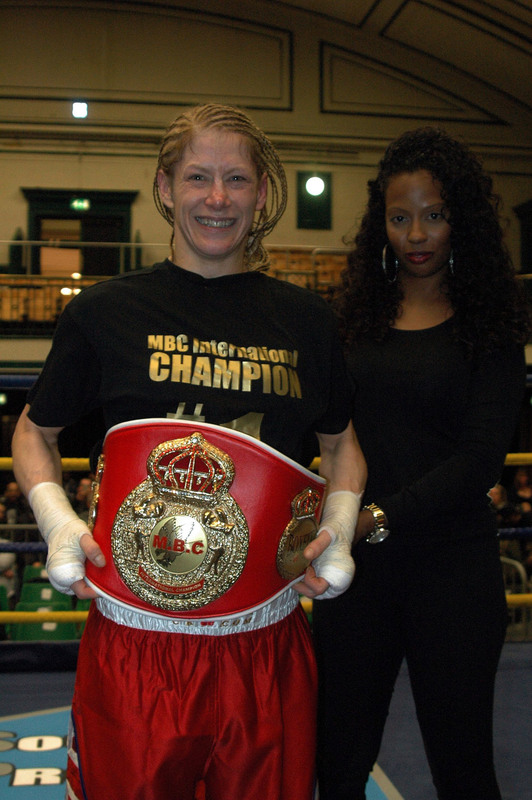 London – Tuesday, 31st March 2015 – British #1 and reigning MBC International Super Bantamweight Champion Marianne Marston is set to return to the York Hall in London’s East End, the scene of her sensational Championship securing victory over Marianne Gulyas late last year, in a few weeks time, where she will face a yet to be named opponent on the Mark Lyons & Billy Elliott promoted LORDS OF THE RING event on Saturday 2nd May 2015. Back in October Marston utterly dominated proceedings against the then Hungarian #1, European #3 and World #31 ranked Gulyas to secure the vacant MBC International Super Bantamweight title. 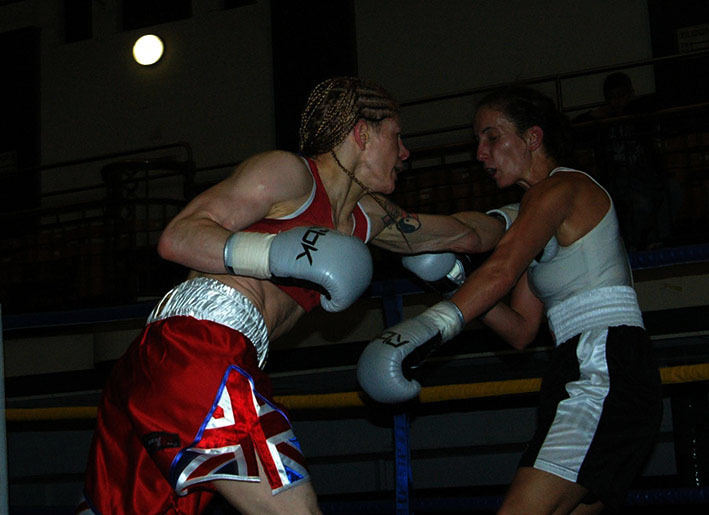 From start to finish it was the slick British southpaw that took the fight to her much vastly more experienced opponent, aggressively going forward, utilizing her sharp jabs and stinging lefts to great effect. Throughout Marston appeared to be able to pick off her opponent at will, in doing so left Gulyas no option but to defend on the retreat. During the bout, which was fought at a frenetic pace, Gulyas visited the canvas no less than seven times, however only two of these were counted as knockdowns by referee Alf Sprung, who waved the others off as slips or pushes. After ten scintillating rounds of boxing, Judges Ben Doughty (UK) and Matt Hamilton (South Africa) scored the bout 100-89 whilst judge Lee Murtagh (UK) scorecard read 99-88 all in favour of Marston. The superb shut out victory rocketed Marston up the rankings, as well as earned her a World title shot, against reigning WIBA Champion, Australia’s Shannon O’Connell, which will take place later this summer. However it is the upcoming bout that Marston is currently focusing on, as she made clear when she spoke earlier. “I’m really looking forward to fighting again, especially back at York Hall. It’s close to six months since I won the title, I have to admit I hoped to be out much earlier this year, but for one reason or another that just didn’t happen. If I had I would have either defended the MBC title or fought for the WBU European title again, but with the World title fight coming up this summer it was decided that rather than having all the pressure that comes with a title fight, we would find an opponent with a similar style to Shannon (current WIBA World Champion Shannon O’Connell) to fight on May 2nd so we could use this as a seriously testing dry run as such. Ian’s brilliant, having someone that’s been there, done that and has the t-shirt to prove it, I honestly believe it’s his input to my preparations that makes all the difference, I mean he’s won both the British and European titles twice as well as fought for numerous titles, so really knows what is needed. It also helps that I have a great experienced team around me, my coach Brian O’Shaughnessy really has bought me on, now instead of being more or less one dimensional in my approach I’m now fully rounded and can box in any style, even on the back foot, which is something I always found hard to do. Mind you when you’re sparring people like Ian (Napa), Sunny (Edwards) and Ian Bailey all the time, you need to be able to adapt, so some of the praise has to go to them also. I’ve really enjoyed being the MBC International Champion, winning the title has affected me in such a positive way, can’t explain it, but it’s like I’m a different fighter now, maybe that’s just the confidence of knowing I can go ten rounds with a World ranked fighter and not just hold my own, but beat them. Now I’ve got to use this to my advantage, first I have to beat whoever it is I’ll be fighting on May 2nd and then of course Shannon when I challenge for her title. I know I said this before, but when my career comes to an end, I want to be remembered as a boxer that had good skills, a proper Champion, not someone that just coasted through their career. Marianne Marston, against a yet to be announced opponent, features on the Mark Lyons & Billy James-Elliott Wise Guys Promotions LORDS OF THE RING event, that takes place at the York Hall in Bethnal Green, London on Saturday 2nd May 2015. Tickets priced £35 (Standard seating) and £65 (Ringside) are available direct from Marianne or any of the boxers taking part, from the Ringtone Gym in Euston, London, on-line at www.mariannemarston.com and www.tkoboxoffice.com or call07960 850645.